Eric Hansen is, first and foremost, a scientist. As a graduate student in psychology, he spends his days learning about all kinds of “rational” explanations for unusual human experiences; during his practicums, he picks the brains of his teacher and classmates and shares knowledge that can be validated by logic and science. So when confronted with a new case–thirteen-year old boy named Greg who sees “dead kids”–Eric begins by asking questions. Is the boy hallucinating? Is he really being haunted? Why does this case dredge up a patient from Eric’s past? 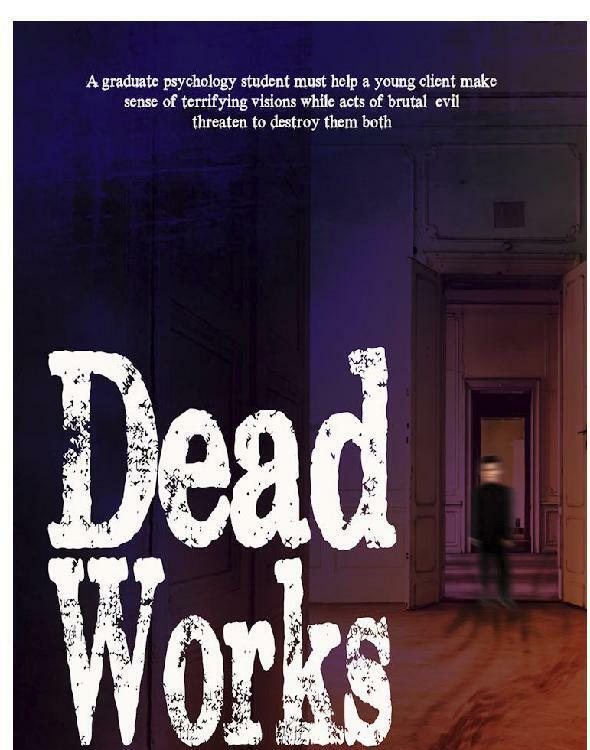 Anthony Hains’s novella Dead Works is a quick read—and not just because it’s only 135 pages long. The author’s experience as a psychology professor with a focus on children shines through. Greg himself talks tough, peppering his speech with swear words especially when he and Eric first start meeting. As someone who’s been in counseling as a teen and talked like this to show how tough and “adult” she was in front of the therapist to hide her vulnerability, I related to this a lot. Also, Eric often repeats what Greg tells him in the form of a question to make sure he understands, which comes off like someone practicing a new skill they’re unfamiliar with–which Eric is. However, he’s patient with Greg and watching their relationship slowly develop was my favorite thing about the book. Eric’s own problems—relationship troubles with his girlfriend, Karissa, the stress of school, abuse in his past—bubble up to the surface. But this is Eric and Greg’s story. The other characters orbit them, but aren’t as richly drawn. This problem is especially evident in the villain, and those connected with them. While of course the story is short and the antagonists are kept mysterious for good reasons, I still felt like I didn’t know enough about them by the end. Maybe a ghost story is supposed to leave the audience feeling unsettled and unsure of what really happened. Haines’s prose is a bit pedestrian, but still propelled me to read. In the end, the book shows that science isn’t cut-and-dried, that it’s irrelevant whether science can answer every question or not. Although it took me a while to get used to Haines’s prose and the story left me feeling vaguely frustrated, Dead Works also left me wanting to see what else the author can come up with.